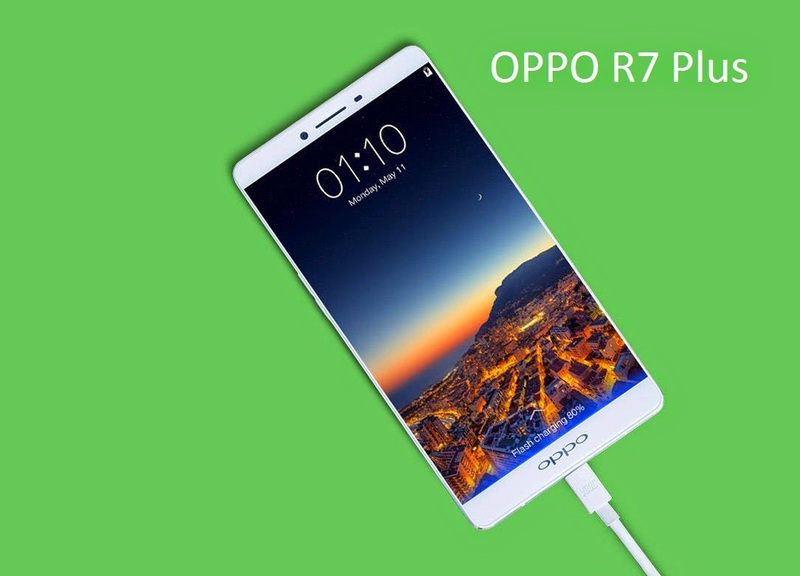 The recent release of the OPPO R7 and its big brother, the OPPO R7 Plus, could signal a direct challenge to the iPhone. With its huge screen and tremendous battery life, the phone looks impressive at first glance, and is definitely a step up from its predecessor. I got a chance to test it out, and this is what you can expect from the brand’s latest mid-range handset. Even before unboxing the OPPO R7 Plus, the name of the phone itself reminded me of the iPhone 6 and iPhone 6 Plus. 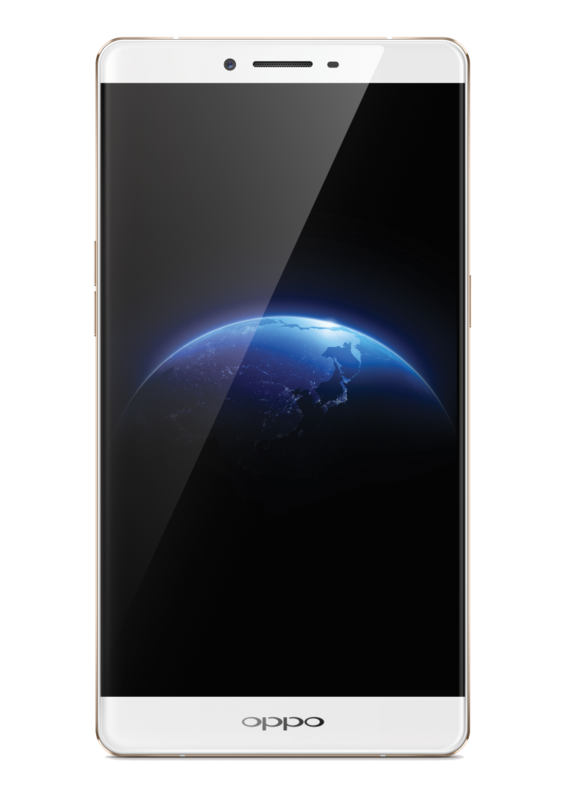 Upon its unveiling, the R7 Plus’ metallic gold hue and matte back cover reinforced my suspicions. 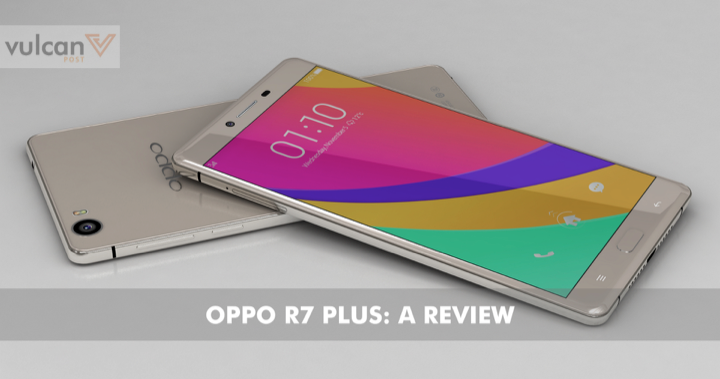 Don’t get me wrong: I am by no means dismissing the OPPO R7 Plus’ design. If anything, I think it’s beautiful, but perhaps just not innovative. Playing around with it, I immediately noticed how light yet sturdy it felt. The R7 Plus comes in a more squarish shape compared to its American competitor. With a pearly white reflective frame in front and a metallic cover behind, it does look sleek and elegant. On the side, you’ll find the usual power button and volume controls, but above the power button is where it gets interesting: here, you’ll find the hybrid card slot which can hold two nano-SIM cards, or alternatively, one nano-SIM and one microSD card. To access this card slot, you have to use a pin provided by OPPO to pop out the tray, like you do with the iPhone. Of course, if there is one thing anyone would notice immediately, it’s the big screen staring right at you. The R7 Plus boasts a 6-inch HD display that truly defines the word “phablet”. With a crystal clear resolution of 1920 x 1080, I can’t complain much. Unlike some other phablets, the bezel on the R7 Plus is extremely thin, meaning that the screen takes up most of the real estate on the front of the phone. This is great because the overall size of the device is kept to a minimum, enabling me to hold the phone comfortably with one hand — a feat not easily achieved with most other clunky phablets. The R7 Plus is also really light at 192g. 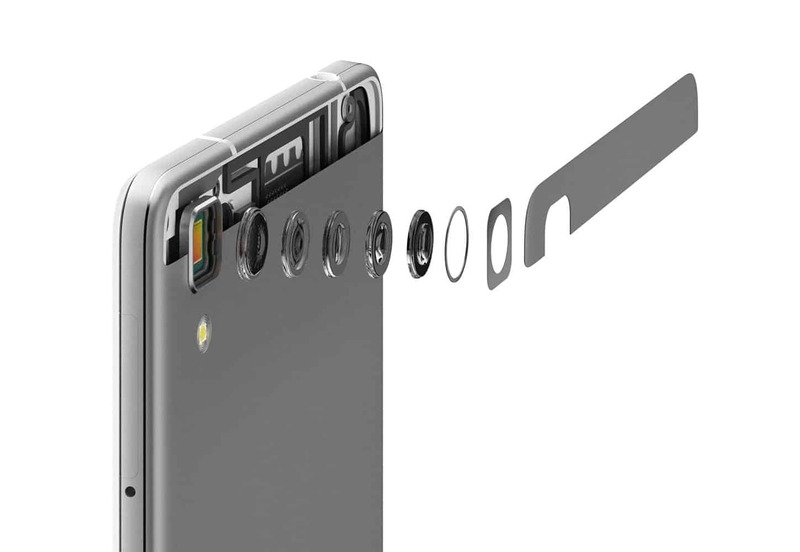 One differentiating factor of the R7 Plus comes in the form of a fingerprint sensor that is found on the back of the phone, near the camera. 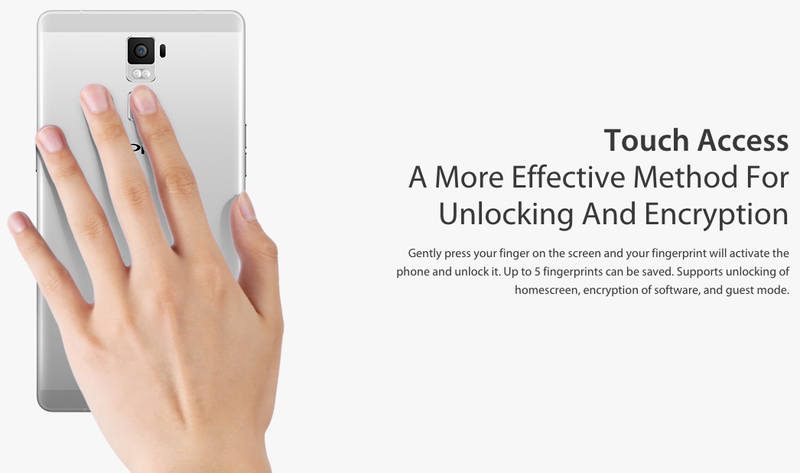 The fingerprint sensor is always sensitive, so you don’t have to press the screen lock button before attempting to unlock your phone. This pretty much rendered the lock button useless, and was one of the factors that made me love the R7 so much. 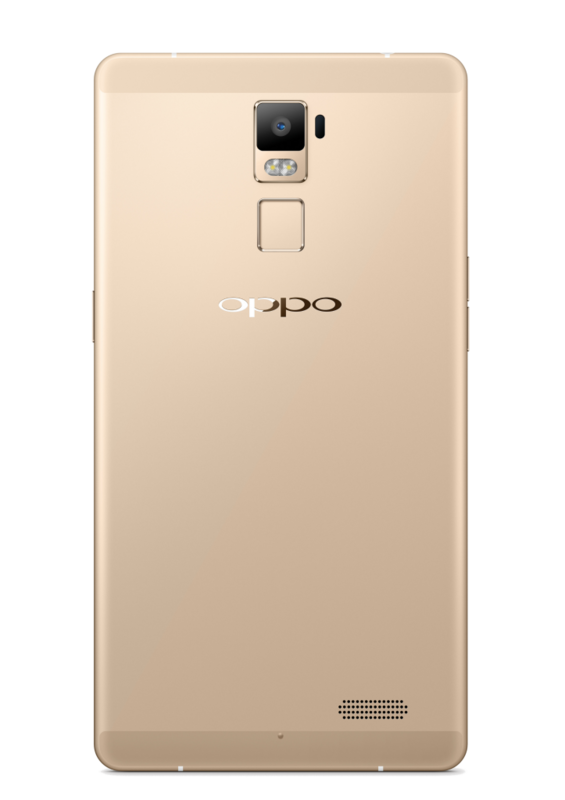 The base of the OPPO UI uses an Android 5.1 Lollipop system, but OPPO runs its own software — the ColorOS 2.1 — over it. This makes it feel more customisable and a little similar to Samsung devices in terms of app layout and design. If you dislike the default ColorOS theme, there is a theme store that allows you to download custom themes to suit your taste and preferences. The themes available may not be extremely beautiful, but I still prefer them to the default one, which has a very blocky visual design. I would have preferred a more basic Android system like the one found on the Google Nexus devices, but overall, I’d say the ColorOS is preferable to the MIUI from Xiaomi. I experienced almost no or negligible lags in my time spent with the R7 Plus. The system isn’t perfect, and it still doesn’t possess the smooth transitions that the iPhone provides, but that is something I can live with — which says a lot, considering how I tend to nitpick when it comes to lags. Of course, this is only to be expected with the powerhouse found under the hood of this phone — the Snapdragon 615 octa-core processor, which clocks an impressive 1.5GHz and 3GB of RAM. This is one of the R7 Plus’ strong suits. The 13MP rear camera has an extremely fast auto focus with really quick shutter speed, anti shake optimisation and even an “Ultra HD mode”. Even as a camera idiot, I could shoot some really clear photos with my hands trembling like a meth addict. While the camera is still a notch below the iPhone’s, its features are truly remarkable. With a remarkable 4100mAh battery, this device could probably come in 1st in the IronMan triathlon. The R7 Plus is a monster truck — no, scratch that — a tank, in terms of battery life. You can surf the net for 11 hours without stopping, watch videos for 18 hours back to back, and leave it on standby for a jaw-dropping 94 hours, if you wished. 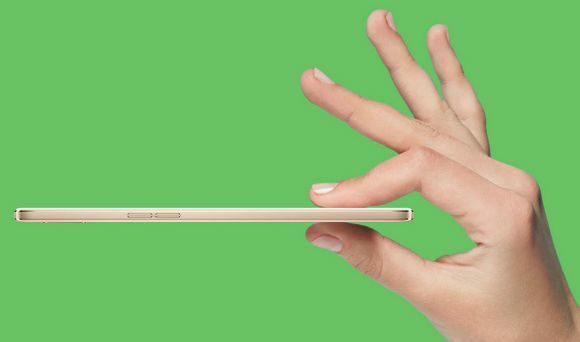 My life with the OPPO R7 was one worry less. I didn’t have to bother bringing along a portable charger or wall-plug whenever I left the house. Surprisingly, it only took me around two hours to fully charge this device, which was superb, and convinced me that this phone was fantastic when it came to power management. The R7 Plus has 32GB of internal storage. Not fantastic, but pretty great. The optional SD card slot also allows you to expand your phone’s memory up to 128GB, which will allow you to put in pretty much unlimited media. I must have rewatched the entire How I Met Your Mother series on this device. This is without a doubt a remarkable device. It is not just a Chinese smartphone you can overlook. Its huge screen and impressive battery life makes it one of a kind in the “phablet” scene, though my only gripe would be its price: retailing at $699, it is a little high in my opinion.